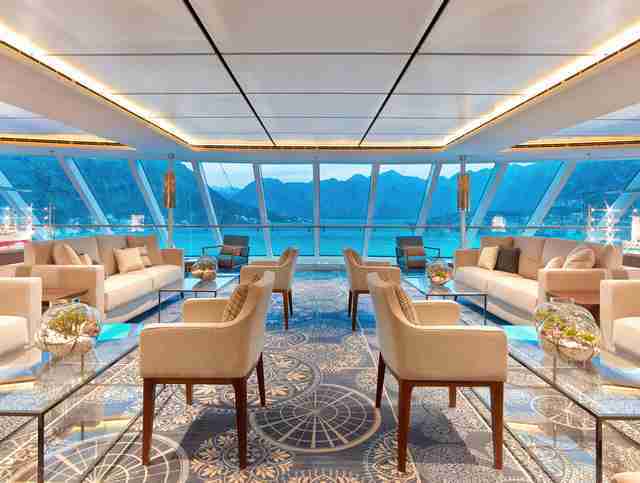 Much like buying entire islands and launching private space companies, circumnavigating the globe on a luxurious ship is one of those things you expect only billionaires get to do in their spare time. But what about the rest of us who've always dreamed of literally traveling around the world? 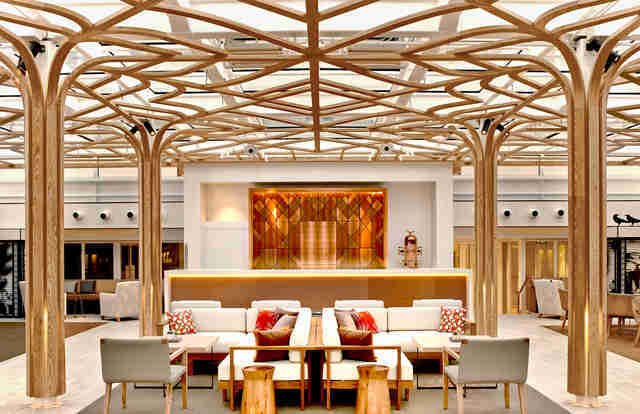 Well, it turns out that's possible now, because Viking Cruises just announced a special Ultimate World Cruise that will take you on a round-the-globe journey to 59 countries and 113 ports over the course of 245 days. It will be the longest-ever continuous cruise to set sail, and the more you get to know about it, the more you're going to want to book yourself a spot. 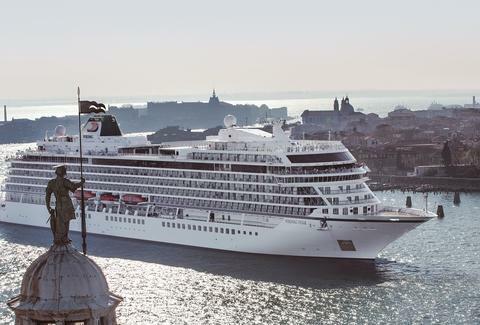 Set to depart from London in August 2019, the Viking Ultimate World Cruise will take roughly 1,000 passengers on one hell of a trip through dozens of legendary cities and to some of the most idyllic coastal locales imaginable aboard Viking's newest luxury vessel, a 745-foot, nine-deck ocean-liner known as the Sun. The itinerary for the trip is incredibly extensive, if not overwhelming. You'll head west through the British Isles and the Arctic Circle to Canada and down the East Coast of the United States before heading to the Caribbean to make a few stops. From there, you'll chug along the eastern coast and southern tip of South America, eventually docking in Los Angeles at about the halfway point. 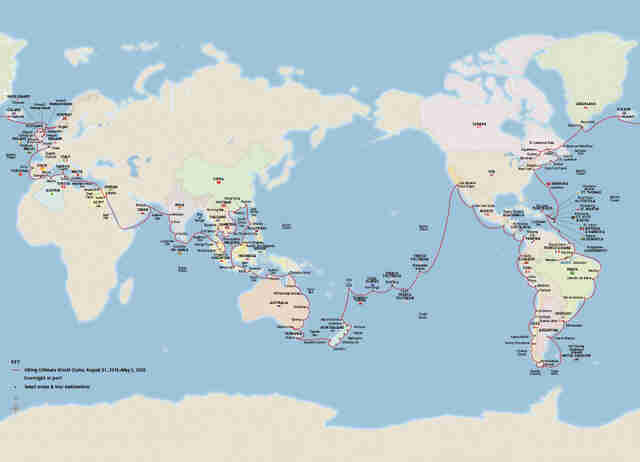 Then it's on to various ports in the South Pacific, an exploration of New Zealand and Australian, and a coastal tour of South East Asia before heading to India and eventually Egypt. The eight-month sojourn eventually wraps up with a jaunt through the Mediterranean Sea and a few stops in coastal Europe. Specific highlights include overnight stays in 22 cities like Rio de Janeiro and Mumbai, and the chance to explore tons of beautifully scenic places like Antigua, Bora Bora, and Ushuaia, Argentina, a city perched on a steep hill at the tip of South America that's commonly referred to as the "End of the World." Guests also get a complimentary shore excursion in each port, so you'll have no excuse not to get off the boat and check out what's around. As for the boat itself, you'll be set up nicely, since even the entry-level staterooms are relatively large and come with their own private verandas overlooking the water. 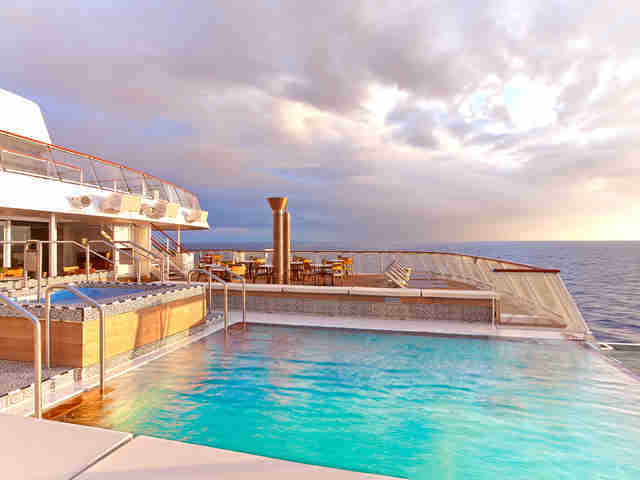 There are two pools, including one glass-backed infinity pool right at the stern, a special Scandinavian spa, a library, theater, and a handful of lounges, outdoor terraces and bars to hang out at. There are also eight different dining options -- all included with no additional charges -- with several fancy restaurants. In other words, there's enough going on onboard to keep you from going stir-crazy. If you haven't figured it out by now, living on a gorgeous ship exploring the entire world for the better part of a year is going to be expensive. It's not necessarily billionaire-caliber pricey, but tickets start at $92,990 per person. However, not only does that cover all the excursions, meals, and other amenities, but it also includes business class international airfare, transfers to and from the ship, gratuities/service fees, and... free WiFi! If you don't have eight months of PTO to blow, you can still hop on for part of the trip because Viking has split the journey up into two sections (London to Los Angeles and Los Angeles to London) for those who can't swing a full round-the-world journey, or the full price tag. 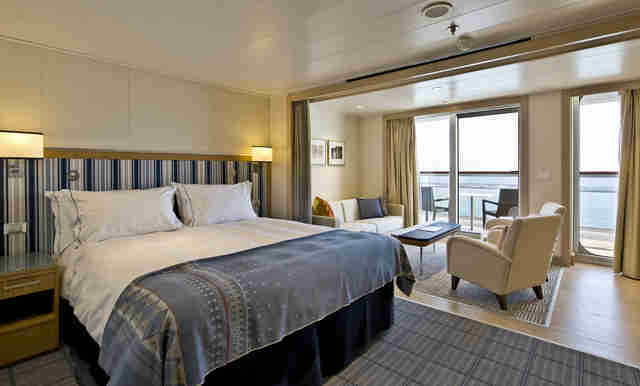 There are still a handful of staterooms left to reserve, and if you start literally right now you'll only need to stash away about $200 a day to save up $93,000 by the time the Sun departs next August. You can do that, right?